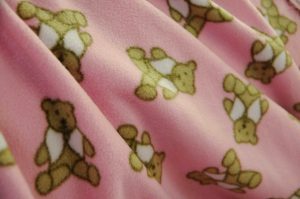 A pastel pink or blue brushed fleece, with a repeated picture of a sitting bunny rabbit covering the fabric. No black is used for this design, even the darker outline of the rabbit and the word “rabbit” is printed in a blue or pink tone. The design has a soft look to it, the rabbit is drawn with both a hazy glow highlighting the shape as an outline or an soft coloured outline in a darker shade. Cute cats with a Japaneese cartoon look, super kawaii! 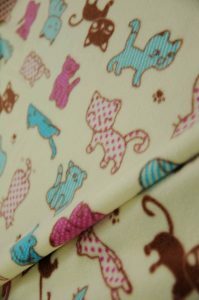 These little cat characters cover the pale beige background fleece fabric in various poses, either laying around cat napping, curled up, sitting and walking. The two main colours used are mid tone fuchsia pink and bright sky blue, using spots and stripes patterns on the cats coats along with dark brown kitties which add a nice contrast to the collection. A classic brown teddy bear, drawn in a sitting position and wearing a little waistcoat. 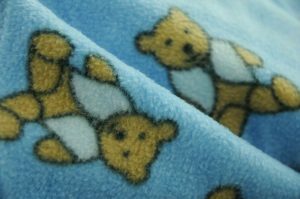 Measuring cm high the print of the bear is repeated at random angles over the pink or pale blue fluffy fleece fabric. Ideal for babies, the bear is a recognisable shape with a friendly smile. 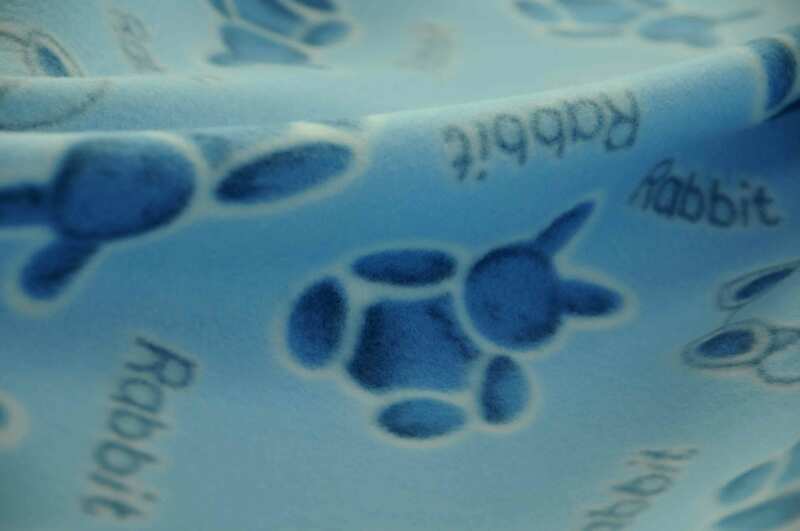 Diggers, lorries, trucks, cements rollers all in this bright construction fleece fabric. Bright shades of yellow, red, orange are used for the simple block shapes of the construction site vehicles, with black chunky tires. 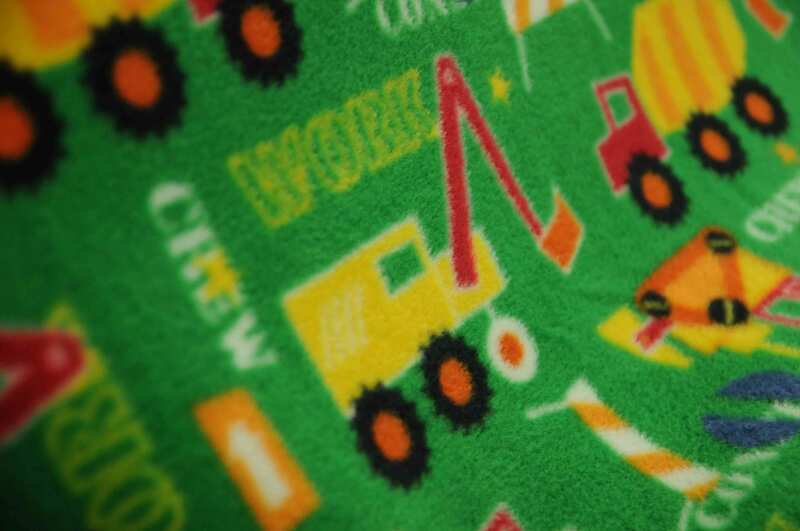 The scene is set on a background of vivid grass green with the words “crew” “work” “and construction”written in white and yellow with various sign posts dotted around the trucks.Great for a play room, bedding or throws, the larger scale of this fleece print would work better for larger projects.